John Thomas Wilson Clapperton was one of British Columbia’s more colourful pioneers. Born in Marlborough, Ireland in 1835 of Scottish parents, he boarded a ship from Southampton, England to Victoria in 1862 alongside many adventurous argonauts, who were heading to the Fraser River and onward to the Cariboo goldfields. After four years, he didn’t find gold and, like many others, decided to look for another way of making a living. Clapperton, thirty-three years old, chose to raise stock in the Nicola Valley. Beginning with the gold rush, the Nicola Valley had been used as a grazing area by cattle and pack train drivers. It was a fertile setting for newcomers to the province like Clapperton. His brother George soon followed him. 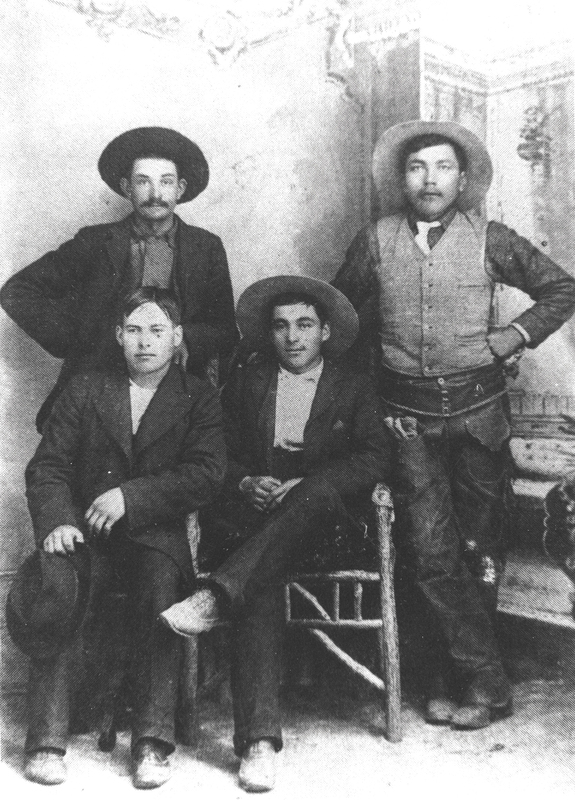 Standing, far right, is George McLean, father of the infamous outlaw brothers. The other three men in this photo are no relation. One of the most legendary tales of the Nicola Valley involving Clapperton is the story of the McLean gang and their exploits. Archie, Charley and Allen, the oldest sons of former HBC fur trader Donald McLean, along with their friend Alex Hare, gained notoriety in the Kamloops area where they stole horses and spent time in jail. Their troubles came to a climax in December 1879 when the McLeans killed rancher and constable John Tannatt Ussher, who was tracking them south of Kamloops. 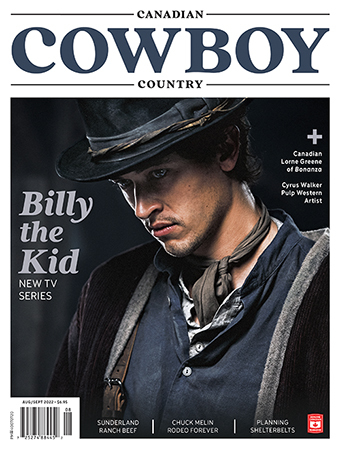 The boys then murdered a shepherd named James Kelly, who had formerly worked for Clapperton. The gang proceeded to Douglas Lake with the horses and guns they stole along the way and then holed up in a cabin belonging to the tribe of Chillihitza, the chief of the local Okanagan band. Clapperton got the news on December 10 and called for assistance. Clapperton organized the men from Kamloops and Nicola and placed watches surrounding the cabin. In his report of the incident, dated December 15, 1879, to the Attorney General of B.C., G. A. Walkem, Clapperton wrote: “I had an idea that the desperadoes had committed suicide or escaped, as from the time I got to Douglas Lake till noon the next day I could not (with the aid of a good glass) see a sign of life in the house. … before anything was done by way of burning or storming the fortress, I determined to first be sure the party we wanted were inside. To effect this, I asked Chief Chillihitza’s son … if he would take a white flag in his hand, and a message from me to McLean Bros. in case they were still in the house and felt like talking. The posse decided to try to burn the house by rolling together large bundles of hay saturated with coal oil. But the hay was too wet, and it was snowing, so the scheme was abandoned. Finally, another attempt was made to ask the gang to surrender — and they did. 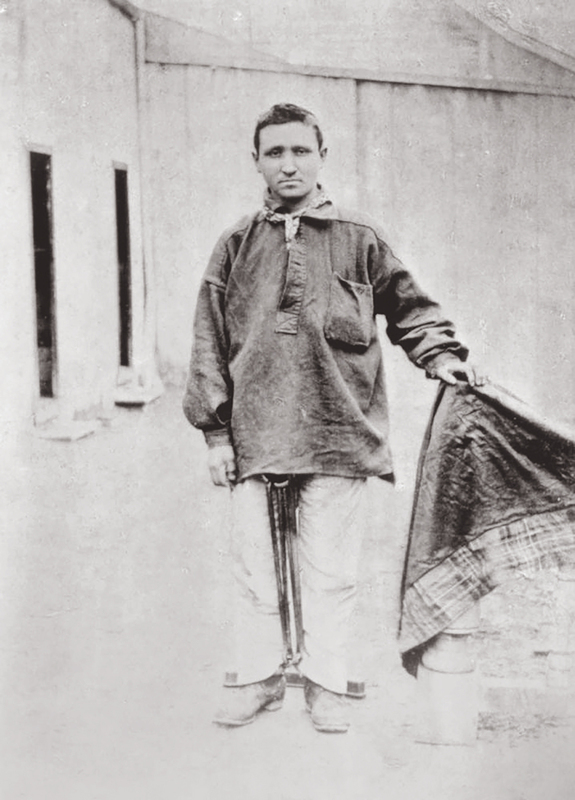 The boys came outside and surrendered their firearms, consisting of six heavy revolvers, four single-shot guns, two double shotguns and one unloaded rifle. 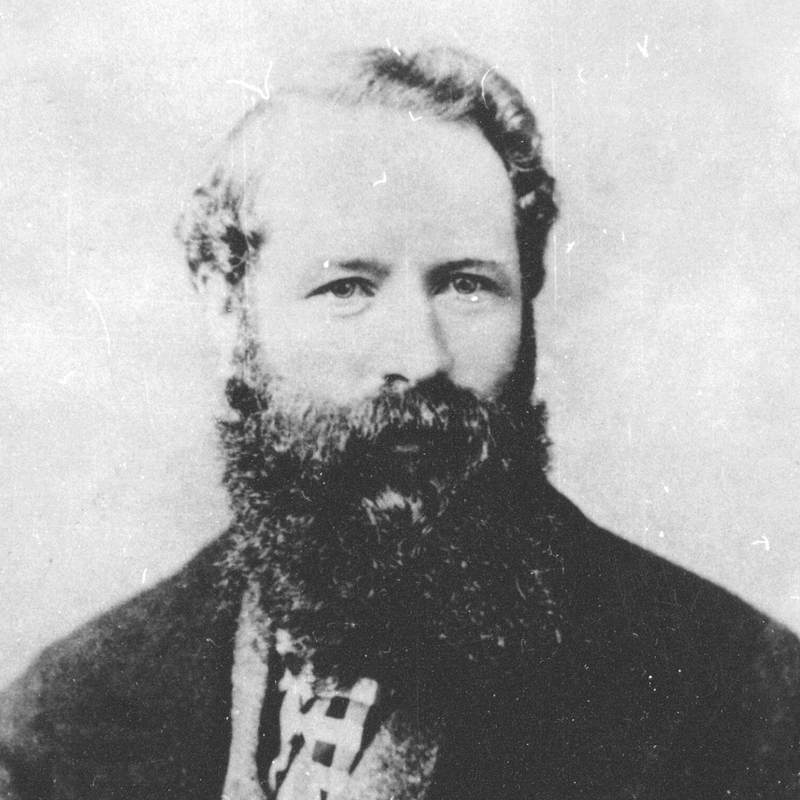 John Edwards, the J.P. from Kamloops, handcuffed them, and they were conveyed by Edwards and 40 men to Kamloops. This concluded Clapperton’s role in the affair, except for his thanks to the people involved in the arrest, including Chief Chillihitza and his son, Saliesta, who delivered the first message; the Douglas Lake ladies, who provided food for the crowd of people, as did the Chinese restaurant (probably the first recorded “take-out” in B.C. ); and the settlers of Nicola. The government decided to reimburse those who assisted with a total of $1,000, the amount of the reward for the capture of the gang. As for the McLean boys and Hare, they were sent to the penitentiary in New Westminster, tried (twice) and then hanged on January 31, 1881. Clapperton went on to become “one of the most popular men on the mainland and his wife a well-known and highly respected young lady.” John and Rose were married in October 1883 at St. Mary’s Church in Sapperton (now New Westminster). They had no children. In 1903, Clapperton leased his land at Nicola, and the couple moved to Victoria. While enjoying a visit to the area in 1913, the “Laird of the Nicola” passed away in Merritt. He is buried alongside his wife, Rose, in a small cemetery at the foot of Nicola Lake.